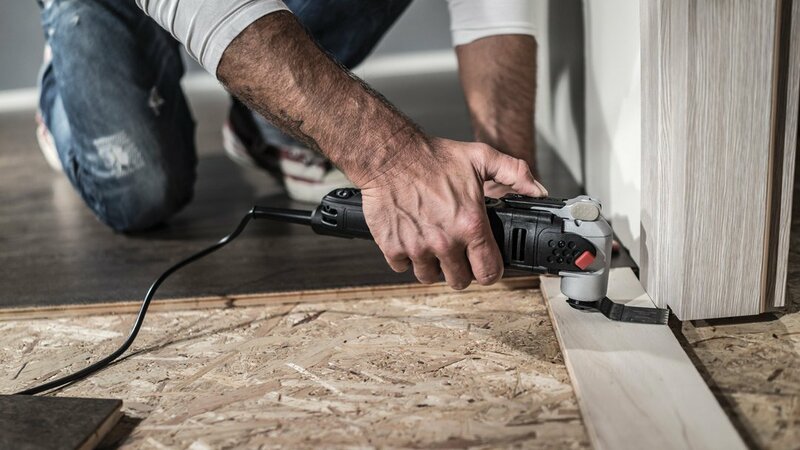 There’s a common perception—or should I say, misconception—that power tools must be big and heavy in order to be fast and powerful. This is particularly true for circular saws where high speed and raw cutting power are critically important. But size and heft really shouldn’t matter as long as the saw has the power to make all the necessary cuts. Case in point: I recently tested the Rockwell RK3441K Compact Circular Saw, which has a 4½-in.-dia. blade and weighs just 5 lbs. ; that’s less than half as much as a standard 7¼-in. circular saw. Its 5-amp, 3,500-rpm motor has more than enough power to slice through construction lumber and plywood. Plus, I really like its one-handed grip, which makes it easy to cut overhead or at awkward angles. Sure, the smaller blade means that the RK3441K can’t cut as deep as a standard saw, but with a cutting capacity of 1 11/16 in. it still cuts plenty deep enough to saw through 2-by lumber. And how often must you cut deeper than that? The saw’s narrow 3¼-in.-wide shoe plate permits cutting in spaces that are too tight for standard-size circular saws, and the plate adjusts to 45° for bevel cutting up to 1 1/8 in. deep. I also appreciate Rockwell putting an 8½-ft.-long power cord on the saw. That allowed me to rip 8-ft.-long plywood without the plug getting snagged on the sheet at the end of the cut. The Rockwell RK3441K Compact Circular Saw cost about $90 and comes with a 24-tooth, thin-kerf, carbide-tipped blade; metal rip guide; blade wrench; and vacuum adapter that fits 1¼-in. hoses. You can purchase a diamond-impregnated blade ($13) separately for cutting stone, tile, cement backerboard and concrete.